Hire Titanium Application Developers are best known for developing robust mobile application for iPhone, iPad, Android and Blackberry devices. We are adopting best strategies and latest market trends to provide Appcelerator titanium development solution to our clients. Our Hire Titanium Application Developers have great experience of market through which we are serving our clients with excellent solutions. 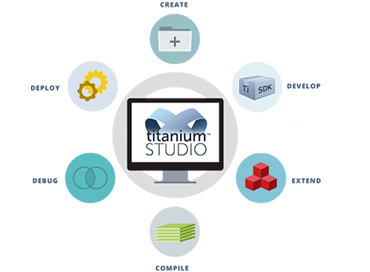 Our Titanium Application Developers are creating applications that deliver perfect solution appropriate to the client’s requirements. Our Developers are following peace of mind development process that adds real value to our clients. We are specializing in designing and developing custom titanium mobile app using our knowledge and innovative ideas. Creative infoway’s titanium developers help to democratize the app building procedure so that everyone can create apps that attached with social networking functionality. Our experienced Titanium application developers work from our offshore development centre in India to ensure that clients receive highest quality, cost effective applications. We follow industry best practices for the protection of intellectual property and client privacy. We offer our clients a flexibility in choosing a hiring method that most suits their needs. You can hire our experienced and skilled Titanium developers for your mobile app development projects at very affordable price. Our Titanium application development service is available on a part time, full time and hourly basis. Our consultants leverage our clients to understand our service and take decisions at critical times. For any requirement of a Titanium development, please write to us. We will be pleased to be associated with you while you enjoy our reliable services. We guarantee attractive, high performance Titanium applications that match your needs.